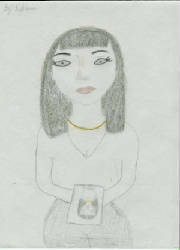 This page displays creative evidence of the student's work done during the self-awareness exercises. Along with an explanation of the artistic project, there is an example of the work presented during the meeting. Last week we introduced ourselves to each other by our first names and gave reasons why they were given and what they represented to us. This week,we would like you to write the word SELF going vertically on an index card. Leave enough space on the card for additional text. Create an adjective for every letter of the word SELF that best describes you. Step 2- Now think of a person in your life that you just can not communicate with no matter how hard you try. Think of how they make you feel. Remember how you feel when they just don't understand you or vice versa. Now write a 4 line narrative poem about that person using the adjectives that you used to best describe yourself. What are the results? Does your poem hold any truth? What does that person sound like now? Can you see how differences in communication may play a role in relationships due to the similarities between people? Did you ever think that person may be a lot like you? That they might be just as confused as you? The SELF that you best described, may be a reflection of your worst relationship. Take time to analyze and share your concepts of people and their emotions and personalities. Understand the things you like/dislike in other people may be the things you like/dislike in yourself. Where do those ideas need adjustment in your life? Where does your SELF-worth come from? others or yourself? You choose. His Fire is why I can't be there. I can't complain she is a Smart woman. cause she makes life Exciting. Although she is corny, I try to tell her the jokes are funny. Her Sensitivity has become evil to me. really was just Loving herself and noone else. It's Funny though love was all I needed. My Sweetness doesn't mean anything to her. It is Exciting not to be with her. But Loving to try to understand her. I'm Friendly when it comes to her to get to know her better. He is Loving to other so people can love him. It's Funny to say that this is me. Smart woman but takes it too far. cause her life is a living hell. We're both Smart so why do you hate me? We live life to an Extreme but love was too extreme for you to admit. You remember how Loving I am. You regret not admitting you cared. And you wish I hadn't left you. Her Spiritual blanket protected me. Her Eccentric soul rubbed off on me. With a Loving Fascination she watches me. One W.I.S.E. Youth student will volunteer to pose for a portrait to be done by the group. 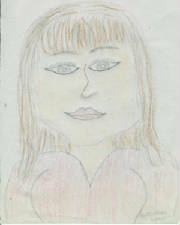 The students will sketch the volunteer student while sketching their self-portrait as well. 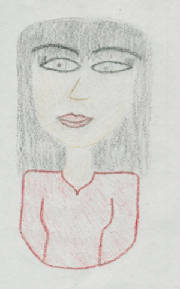 The students will be asked to capture the volunteer defining their self on paper. They will be asked to be as creative as possible with crayons, paper and pencil. The volunteer student will keep their self-portrait hidden until all the students present their visual perception of their fellow W.I.S.E. youth. All student's work will be revealed one at a time as they ponder certain questions with the group. What does the subject represent to them? What did they try to express in their drawings? What emotion does it convey? Who believes they sketched the best portrait? Which resembles the student the most? 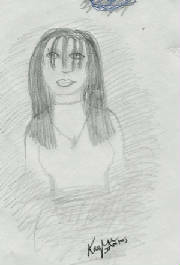 Step 2- The volunteer student is asked to reveal their self-portrait. Although they are asked the same questions about the self-portrait, they are asked to choose the one that best resembles them from the outside. It would be important to realize that the way you see yourself might not always be the way the world sees you. That sometimes the way others percieve you might not be as important as who you believe you truly are. That others can paint a picture of you according to what you allow them to see. It is up to you to represent correctly what self means in order to draw an accurate picture for the world to see. The world's image of you is not stronger than the image of you in the world! Purpose: To discuss how we use violence in our intimate relationships and reflect on what in fact is an intimate relationship based on respect. Procedures: Explain to the group that the objective is to discuss and analyze the various types of violence that we sometimes use in our intimate relationships and discuss ways of demonstrating and experiencing these relationships based on respect. 1. Divide the participants into 4 groups (or less, depending on the total number of participants in the group), with 5 or 6 members in each group, and ask them to invent a short story. 2. Ask two groups to present an intimate relationship - boyfriend/girlfriend, husband/wife or boyfriend/boyfriend - which shows scenes of violence. Explain that the violence can be physical but not necessarily so. Ask them to try to be realistic, using examples of persons and incidents that they have witnessed or they have heard about in their communities. 3. Ask the other groups to also present an intimate relationship but based on mutual respect. There may be conflict or differences of opinion, but the presentation shows respect in the relationship and does not contains scenes of violence. Allow 15 to 20 minutes to discuss the story or the scenes and then ask them to present it to the group. 4. Each group should have around 5 to 10 minutes to present their stories, with the other groups being allowed to ask questions at the end. 5. When all the groups have had their turn, using the flip-chart, make a list: what are the characteristics of a violent relationship? Encourage the participants to reflect on the different forms of violence in intimate relationships (control, coercion, shouting ...) as well as physical violence. Use the stories as an example and ask: what are the characteristics of the individual or of the relationship itself, in the cases that were presented, which demonstrate violence? 6. Placing the list on the wall, begin to list the following: what characteristics make a relationship healthy? Ask the group to think about what is necessary to achieve a relationship based on respect. 7. Discuss the following questions. Were the examples used in the story realistic? Do we see these things in our daily life? What for you are the causes of the domestic violence or the violence in the relationship? Do only the men use physical violence against the women? When you see this type of violence, what do you normally do? What could you do? Are the examples of a healthy relationship that were shown in the stories realistic? Is it possible to construct a relationship based on respect? Do we see it in our daily lives? What can we do individually to construct healthy intimate relationships? Analogy: This group improvised a situation that may occur in any relationship along with healthy alternatives chosen to communicate a difficult subject. They validated each others feelings by using "I" statements to express themselves efficiently. They did not raise their voices innappropriately. She communicates her fears and insecurities instead of masking them behind anger and resentment. Although Kaylee knew that Steven was aware of her opinion of the military, she continued to voice her concerns instead of attacking and threatening Steven for violating her wishes. Whichever role they chose to assume,the situation was out of their hands as they continue to consider healthy approaches to effective communication under any circumstances. Analogy: This is an example of how an abusive relationship can be addressed in an attempt to reveal the source of and the presence of abusive behavior. While Keisha continued to harass and question Yadi about her intentions to become a model, her envy and insecurity grew more obvious. Yadi was shocked by her insults yet discovered that if she remained true to her self she could uncover the truth of the situation. She did not internalize the lies that Keisha tried to use to control her, instead recognizing the fear that results in anger and violence and overcoming it with self-empowerment and confidence. Self-Awareness Exercise - Mar 19. We all identify with violence in some aspect of our lives.We probably have witnessed violence at some point as well. Violence is a physical act performed with the intent to create harm. Violence is a result of anger. Anger that is not channeled positively results in violence. Anger is not a bad thing. It is the way your emotions tell you something is wrong and it has to change. Anger is a way to identify your confusion and/or frustration with circumstances. Anger should be released. Anger can be vented as positive energy in order to boldly and assertively seek or create positive change and justice. Some choose to channel anger as violence. Which way do you choose to vent your anger? 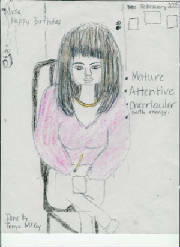 Some choose to turn anger inward manifesting as depression, self-destructive behaviors, addictions and self-mutilation. Anger is a result of fear. The only mask that shades the pain and fear is anger and rage. Fear is the unknown. The lack of knowledge of a subject can grow into fear. Face your fears. Find the truth. Find your personal truth that uncovers the motive behind your fears. Do you want to know what you are hiding from? What causes your anger from arising from an unknown place? Do you want to learn your own personal truth that keeps you grounded through life and names you fearless? Through monologues you will face that fear. Become that fear. Unveil the truth and challenge yourself to view your fear from a different perspective. As you reveal the character and source of your fears you will discover the connection between yourself,others and approaches to self-discovery. You can feel me there. Everything that you just wish wasn't there. That fast walk that you have. That paranoia that builds inside of you. The fact that you'll get a bad report card or even your future. But you dont't let it get to you. But you face it and spit in my face. You fear the unknown but you don't let it get to you. Your fear is your past, present and future. Your fear is the life of me.